You are here: Home » A101 News » Abroad101 Featured Blog 2011 – The Study Abroad Blog!! 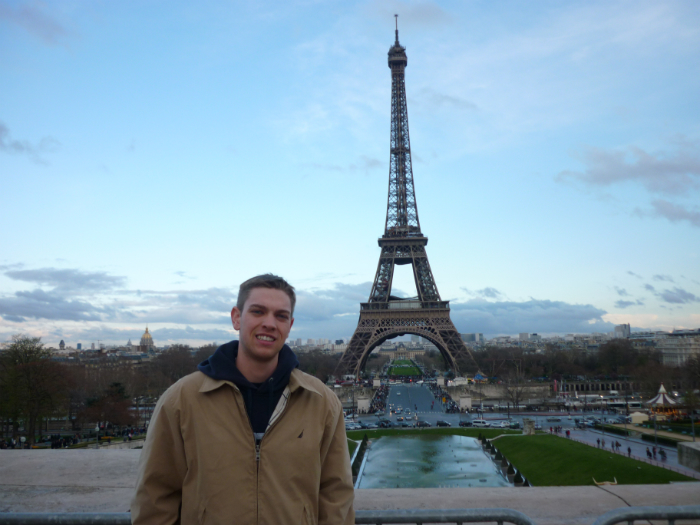 Abroad101 Featured Blog 2011 – The Study Abroad Blog!! 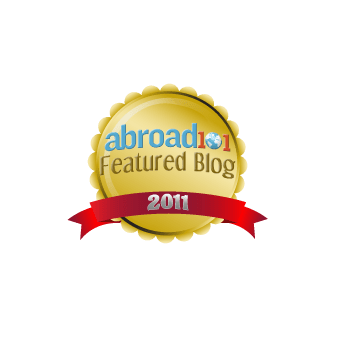 Abroad101’s Featured Blogs promotes leading blogs in the international education and travel space that showcase stories, news, or advice that help others to gain a global perspective. Here are some featured questions taken from an interview conducted with a blog that does just that! 1. Who are you, and what makes your blog unique? Worcester, MA. I studied abroad in St. Andrews, Scotland during my junior year of college and had the time of my life. In fact, I had such a great time that I decided to study abroad again during the Fall of 2011, this time through an intensive language program in Beijing, China. 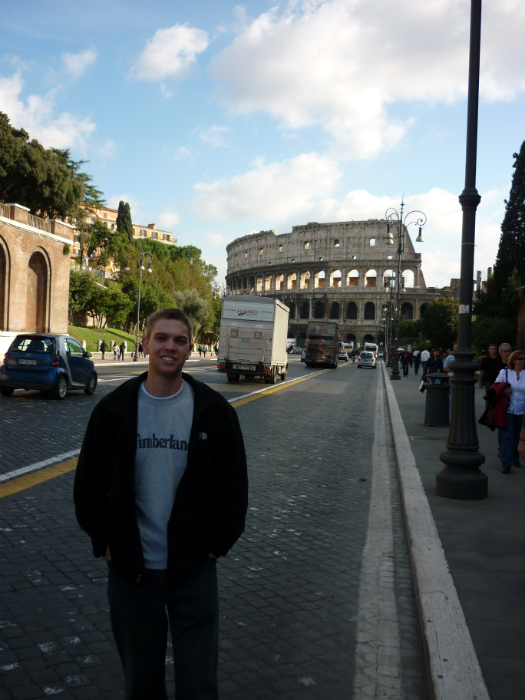 Studying and traveling abroad was one of the most fun and eye-opening experiences of my life. At 22, I’m not quite sure what I want to do in life, but I do know I want to see as much as I can of what the world has to offer. While I can say I’ll travel when I’m older, there are a lot of factors that could get in the way. I realized this is my opportunity to gain life experiences that many people dream about, so I’m going to do this now, while I’m young and have nothing holding me back. not hosted by another site. The content, theme, and ideas are all my own, and while I try and keep it appropriate, I don’t have to worry about someone else affecting my message. I think it allows the reader to relate well to me, a fellow study abroad student, as opposed to a brand or program. 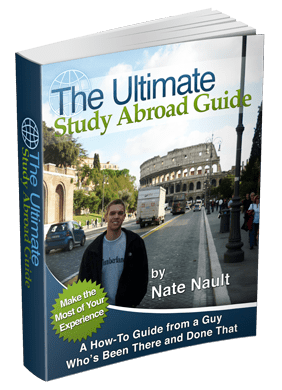 I’ve also really tried to take it to the next level by writing my own eBook, The Ultimate Study Abroad Guide (Awesome, Nate!! ), so that every study abroad student can learn from all of my mistakes and experiences, in an effort to make sure they have just as great of a time as I did. 2. What are your goals behind your blog & where do you draw inspiration for stories? admit it was mostly out of my own desire to keep a journal, have a place to host my photos, and share my experiences with my friends and family back home. I realized pretty quickly, though, that it would also be a great way to help other students who were studying abroad. There are a lot of aspects of studying abroad that can be tough, so if I could give some helpful advice to a student who is going abroad, or a student could gain some comfort in knowing that someone else shared their same feelings, I figured it was beneficial for everyone involved. I ended up enjoying it so much, and received such great feedback from other students, that I kept writing even after my year abroad was over. Of course, now that I’ll be spending a semester studying abroad in China (Good luck, have fun! ), I’ll be able to not only continue writing, but also reach a whole new audience of students who will be abroad or are going abroad in the future. 3. What have been some of your favorite stories? about every trip I went on or every experience I had when the magnitude of studying abroad hit me. I would just stand there for a while, really soaking everything in, and appreciating the experience of studying abroad as a whole. Although more and more students are going abroad, in reality, most college kids my age weren’t fortunate enough to be doing what I was doing. In Barcelona, that moment was on the beach staring out into the ocean while thinking about my friends back home that were in class; in Paris it was while drinking champagne under the Eiffel Tower at midnight with students from Russia and Australia who were doing the same. Those are really the moments I like reliving through my blog posts (Well put!). 4. Do you follow other blogs in the space (study abroad, travel, volunteer abroad, etc)? If so, what attracts you to those? And on a different note, even if I’m not a devoted follower, I also love reading other study abroad blogs. Between Twitter and Stumbleupon, I find a new one every few days, and I always try to remember to bookmark it. I like my study abroad point of view, but my experience was one among a million of others. I was never an art or architecture guy, I’m not the best at describing different ethnic cuisine, and the longest I ever stayed in a country while traveling was 4 or 5 days, so reading the experiences of others definitely helps me continuously develop my personal point of view and encourages me to try different things when I see how others made the most of their time abroad. 5. What’s your favorite part about keeping a blog? For me, The Study Abroad Blogs‘ most important role has been that of a journal, something I can use to reflect on the times I had, both good and bad, and the life lessons I learned. It makes me laugh, it makes me think, and sometimes I even get a little nostalgic. I spent hours upon hours trying to craft awesome blog posts, especially in the beginning, and the amount of enjoyment I get out of them now, even if it’s only for a few minutes, is extremely fulfilling. I mean, some of my posts are from well over a year ago, but I can still take myself back and feel the same as I did when I was there. And that’s when I’m inspired for the future. 6. What suggestions would you give to blog writers out there? Write for yourself, because in the end, the blog is really for you. If you develop a following, it’s because your readers like you as a person and can relate to you. Write whatever you can, whenever you can, and however much you want. There isn’t really a right way to blog. It’s not about flash either. There are blogs out there that have a much greater following than mine, but have a much simpler design. If you stay true to your point of view while writing content, that’s all that matters. Keeping your readers in mind is fine; just remember that they are reading your blog because they like you and the way you write. Abroad101 would like to thank Nate for taking the time to respond to our questions! 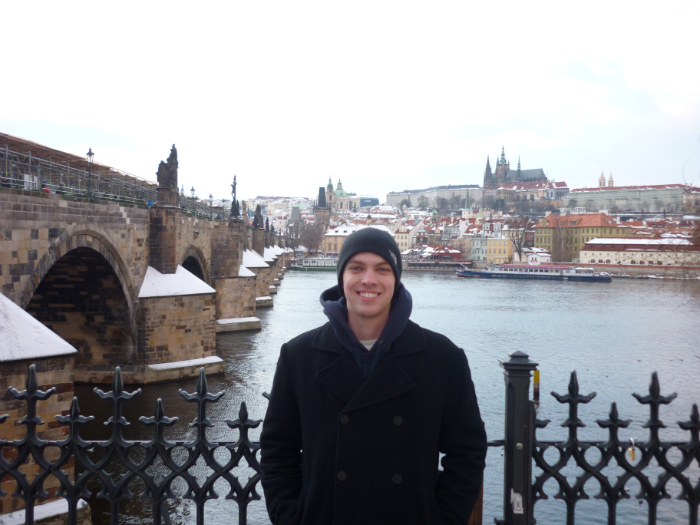 Check out The Study Abroad Blog here! !